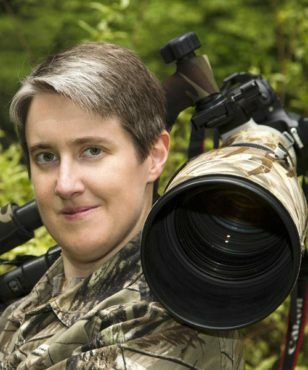 A self-proclaimed "bird nerd," Janine Schutt is an avid birder and a nationally recognized and award-winning wildlife photographer. Her photos have appeared in Cornell Lab of Ornithology publications. An expert on the birds of Washington, Janine enjoys birding in all 39 counties. She is a past president of Kitsap Audubon Society, current board member and data compiler for the annual Christmas Bird Count. Janine works for the Central Kitsap School District and is a part-time contract chaplain with the Department of Corrections.